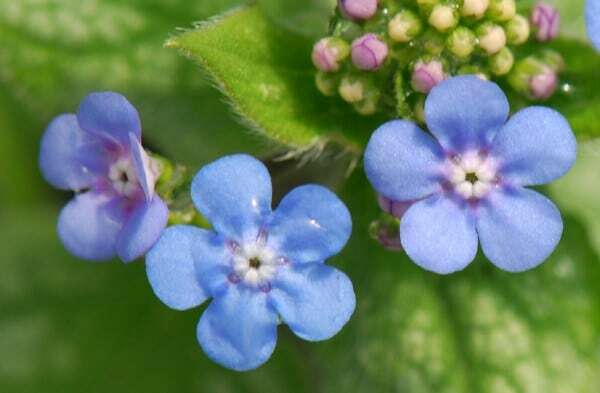 In early spring, large, mid-green, heart-shaped leaves that look as though they have been dusted with silver appear, followed by tall sprays of tiny, bright blue, forget-me-not-like flowers. For the best variegation, a sheltered, shady site is essential. 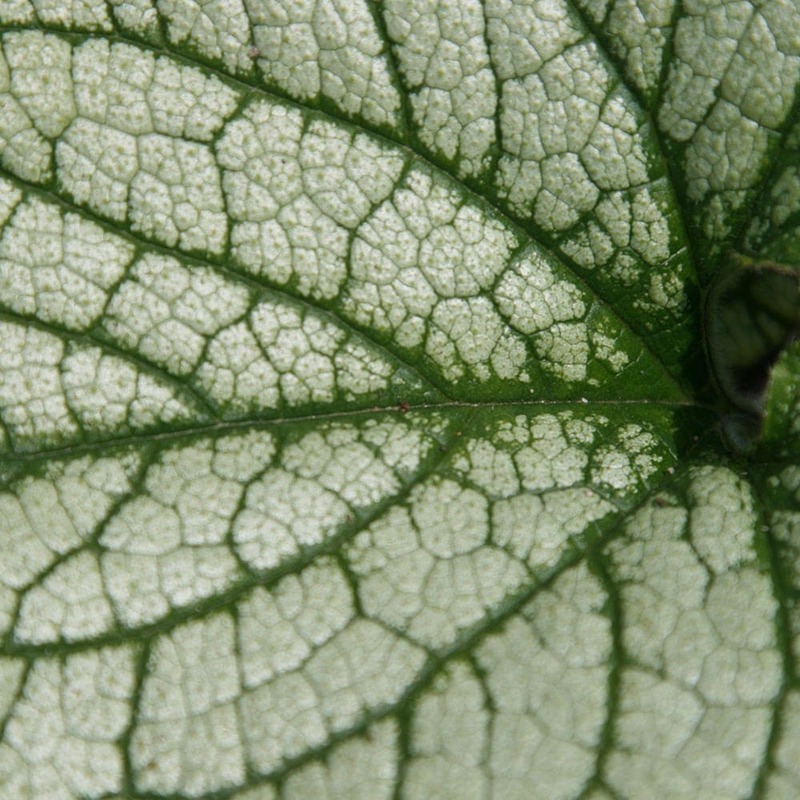 Although it prefers moist conditions, brunnera will tolerate dry soil once established, and will spread to form a large clump. This is a gorgeous groundcover plant for the front of a border, or lighting up moist, shady areas under the canopy of deciduous trees, or for edging a woodland path. Brightens up a shady spot ! Good in a shady area and seems quite hardy. It quickly established itself and spread over the area nicely. Used it to fill a dark corner beside a wall under an apple tree. It has flourished and gave a lovely display of bright blue flowers although I had bought it for the lovely foliage colour. Attractive ground cover provided by variegated leaves. Too early to comment on flowers but hoping for spring colour. Prefers shade. Pretty blue flowers on fine stalks. Decorative leaves. 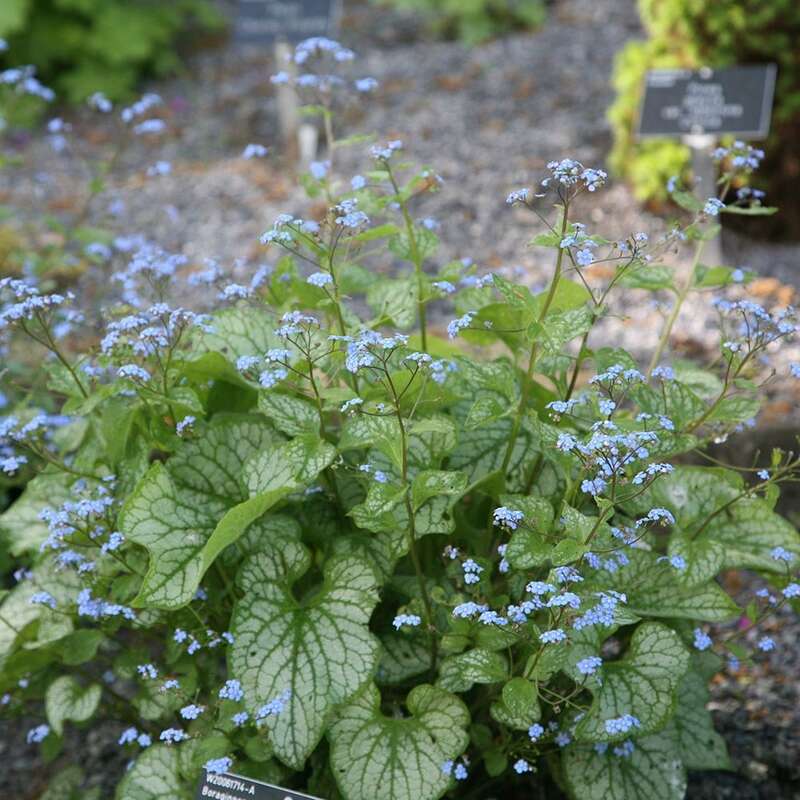 The plant itself is hardy and has a long season of interest with variegated leaves as well as delightful true blue flowers. The particular plants supplied have just survived flooding on my clay soil and a series of late frosts and snowfalls, so were clearly strong and healthy specimens.